Everyone likes a story, right? What about an Instagram Story? I don't know, at least some people like those. 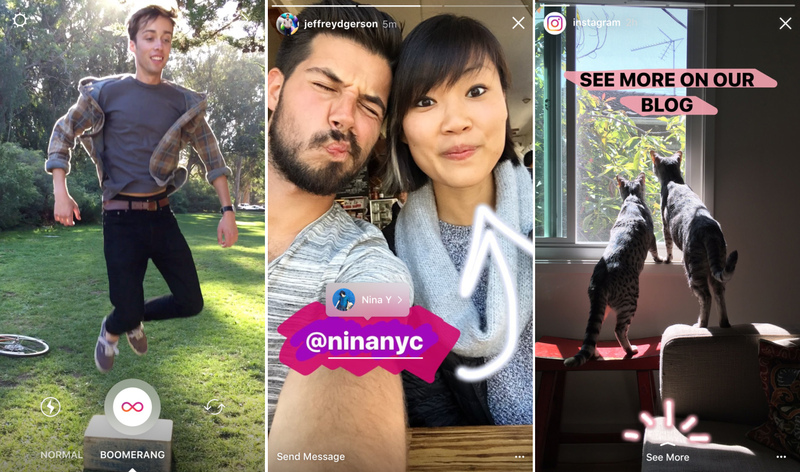 Today, Instagram is adding a few new features to its Stories feature, including Boomerang videos. Yeah, that's a whole separate app, but now it's built-in too. Boomerang videos are basically GIFs. On their own they can be a fun diversion, but a quick video might spice up your Story. You can also mention other users in Stories now. It works the same as mentions in posts and comments—the user gets a ping and their username appears as a link in the story. Lastly, Stories have "See More" links now. Only verified accounts can do this right now. It allows Stories to link out to other sites. These updates to Stories are rolling out as part of the v.97 update to the app. That version started popping up on Android last week, so there might be a server-side switch flipping.